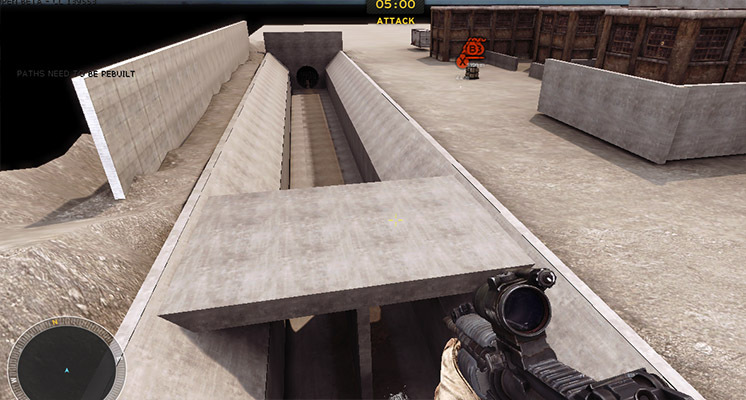 This is going to be a C4 map. It is also being designed to be competitive! Its going to be a 12 v 12 BDX like inner hospital as nobody plays BDX UMM. Currently i am mocking out the layout like i did with Industry and i should have a working map soon. 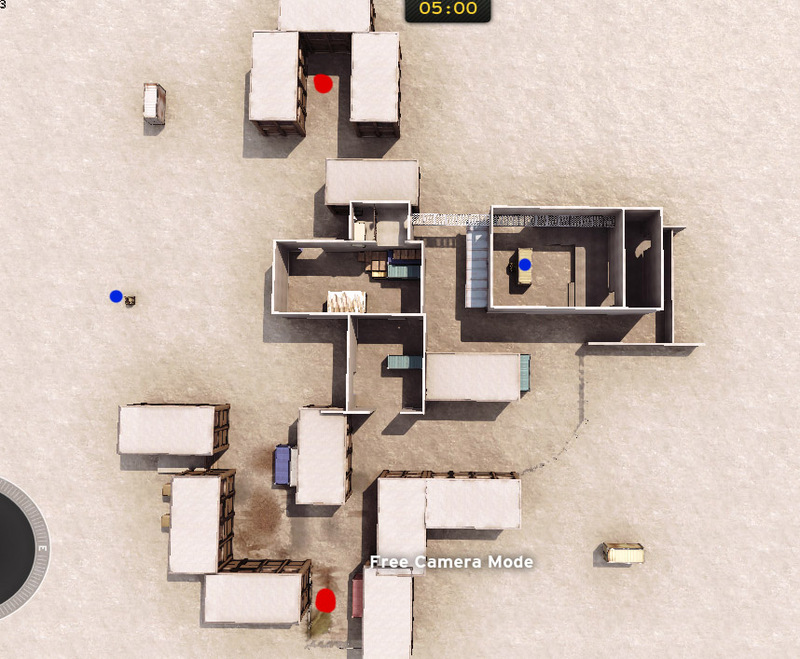 What i am planning to do differently with this map is im looking for some teams to play test it a few times to iron out the layout before i spend time making it pretty. Last edited by TheBadaBing! on Fri Mar 27, 2015 6:21 am, edited 3 times in total. Where are the boundaries of the map? Right now it looks like you could run on endlessly on the left side. I see 4 attack points (if that silver thing on the right is a bridge.) That's a good amount. The two center rooms do seem a bit small and crowded. The bomb can be seen by red right off the start, there should be something there to block the view. Maybe i should of said, the whole left side still needs to be sorted out along with the whole defence side of the map. Its still work in progress. I will make sure that defence can't see the bomb that easy tho. 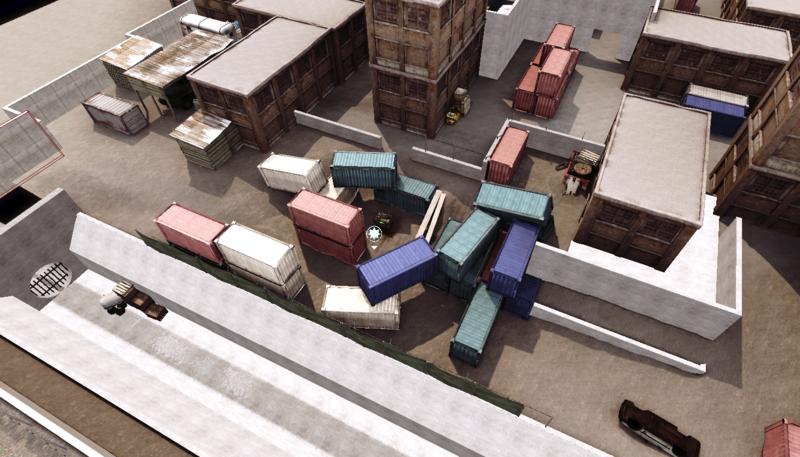 I have decided instead of doing a whole warehouse/lockup scene im having some of the map on the left in the outskirts of the lot. 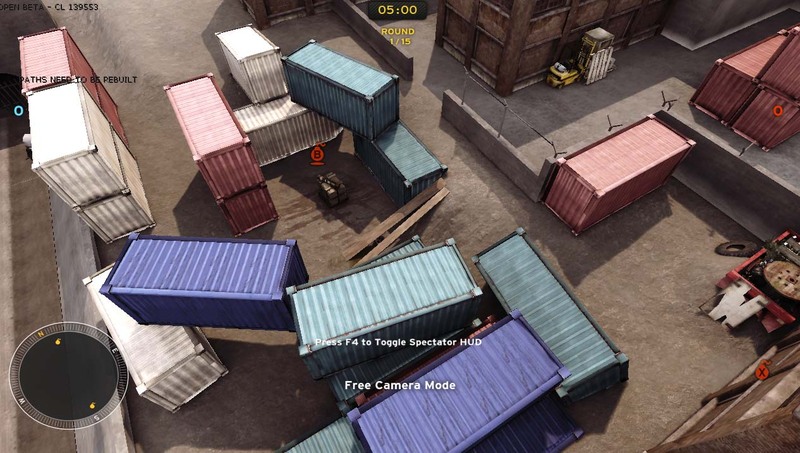 I am going to somehow place the bombsite in the middle of some containers maybe. 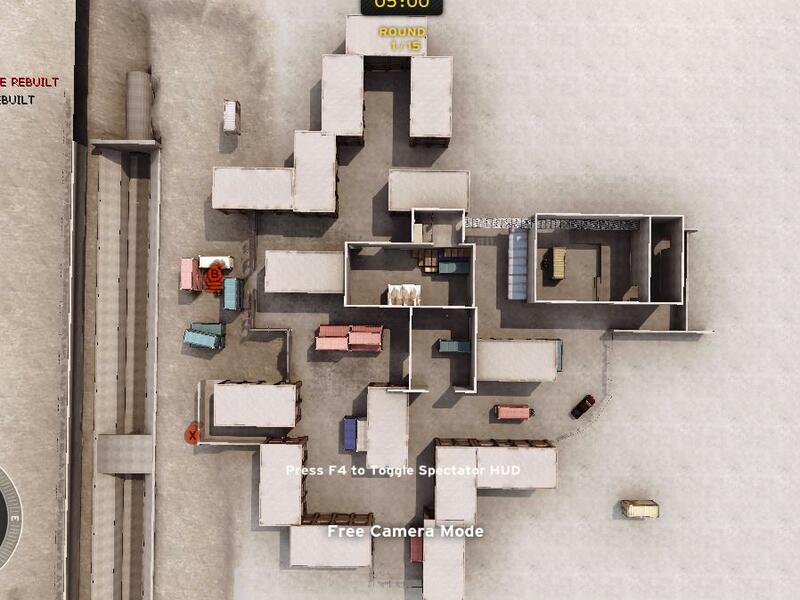 The bombsite isn't going to be left open like now it currently is. A little update on the bombsite area. This is the "outside" of the warehouse area in the wasteland which is now a dumping ground. Ive moved the right side bombsite back towards defence more. I hope so. I am just trying to nail the layout first then i want people to play test it with some matches on it. 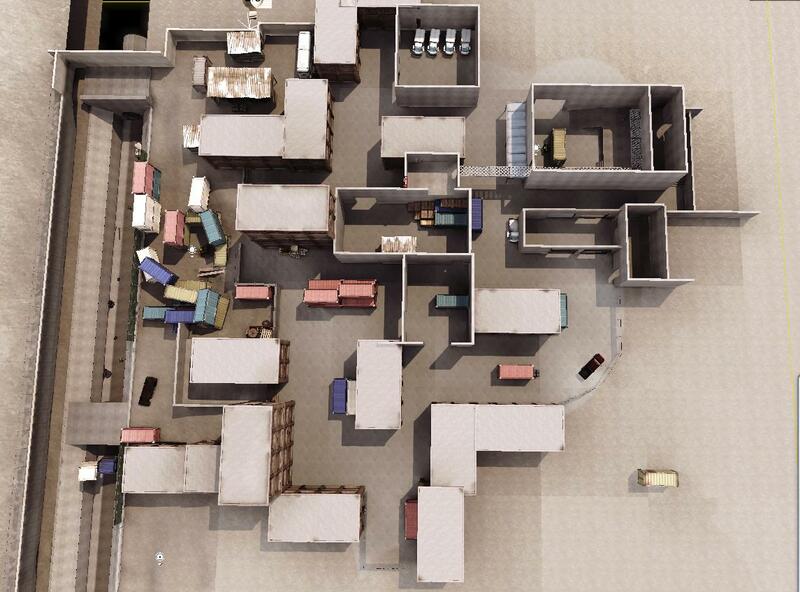 I want it to be a competitive C4 map. 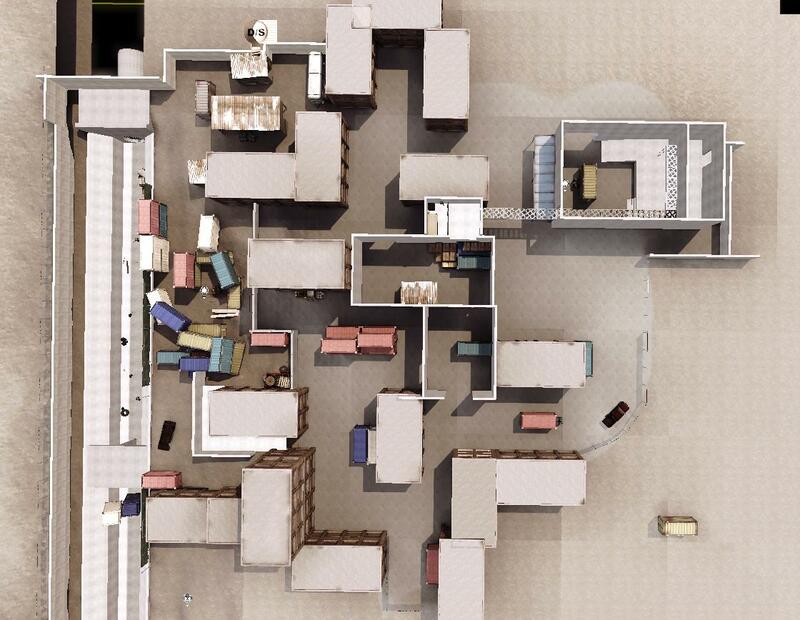 I will then adjust it according to feedback and make it look like the warehouse compound scene. You can never update the thread too much right????? Im worried that the majority apart from the wasteland area is too flat. thats what i did with my station map, i built it all first on flatland, then went around raising and lowering some parts of the terrain around the buildings and on pathways, so it didnt feel too flat.